Courtesy of Coldwell Banker Res. Brokerage. Wonderful opportunity to own a single level patio home in quiet Oaks North Villas. All single level with a one-car garage, direct entry into a full laundry room with sink. Large kitchen with eat-in area, lots of counter and storage space. Vaulted ceilings. Looks into large dining and living rooms, also with vaulted ceilings. Two bedrooms with nice separation. Master en suite with large closet, new paint and carpet. Home has easy care laminate floors. Private entry courtyard, very large back patio. Please, send me more information on this property: MLS# 190019766 – $459,000 – 12752 Via Moura 251, San Diego, CA 92128. 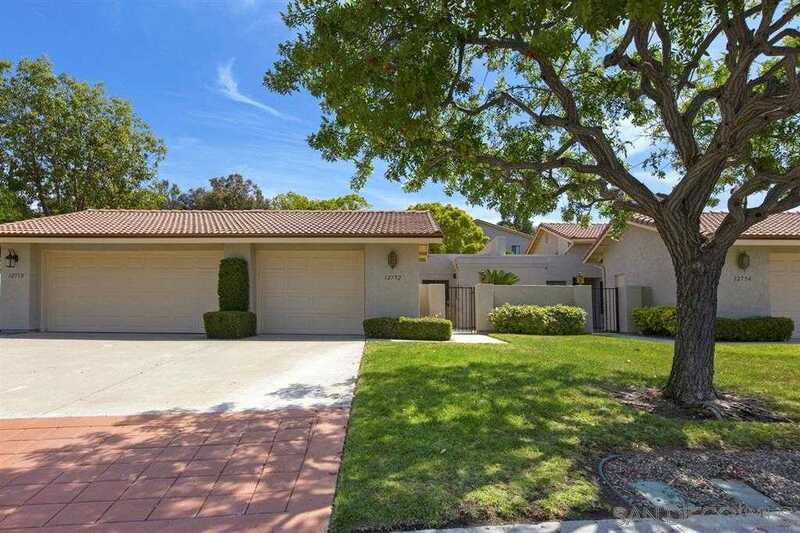 I would like to schedule a showing appointment for this property: MLS# 190019766 – $459,000 – 12752 Via Moura 251, San Diego, CA 92128.